We are plugging away at the remaining landscaping, mostly in the backyard. 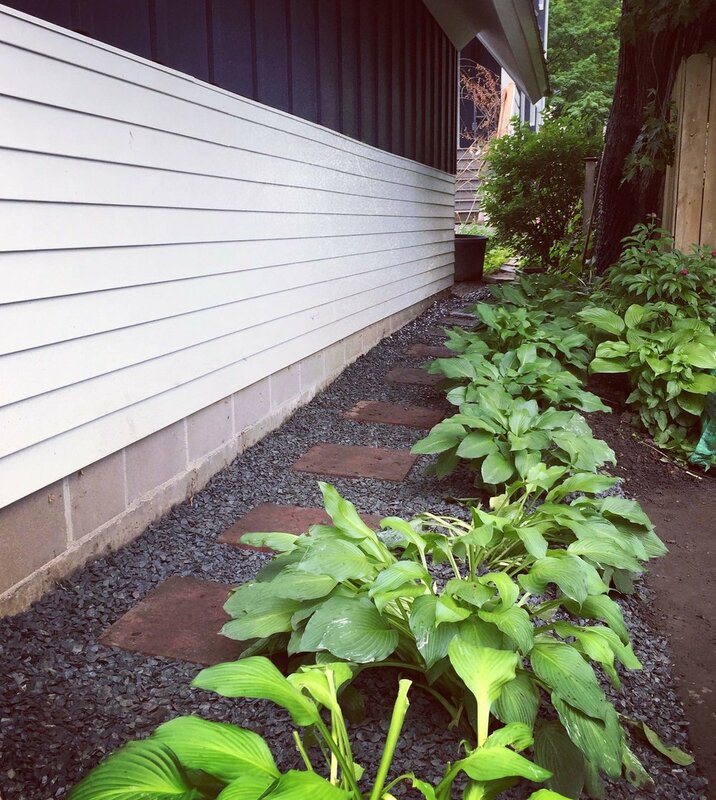 Here, the completed path under the garage eave shows the pavers, crushed stone and hostas. Many of these hostas were transplanted from a generous client who was doing a little thinning out of her garden.